Connecting Educators throughout the Garden State! What started as Think Newspaper in 2007 then became Think Teachers Magazine in 2012 and became NJ Teachers Magazine in 2014 is the only magazine in the Garden State dedicated to celebrating the achievements of all educators while providing ongoing assistance for teachers in and out of the classroom. NJ Teachers is a product from Krurapp Communications, which serves the three prominent sectors of public service: Law Enforcement Officers, Firefighters and Teachers. 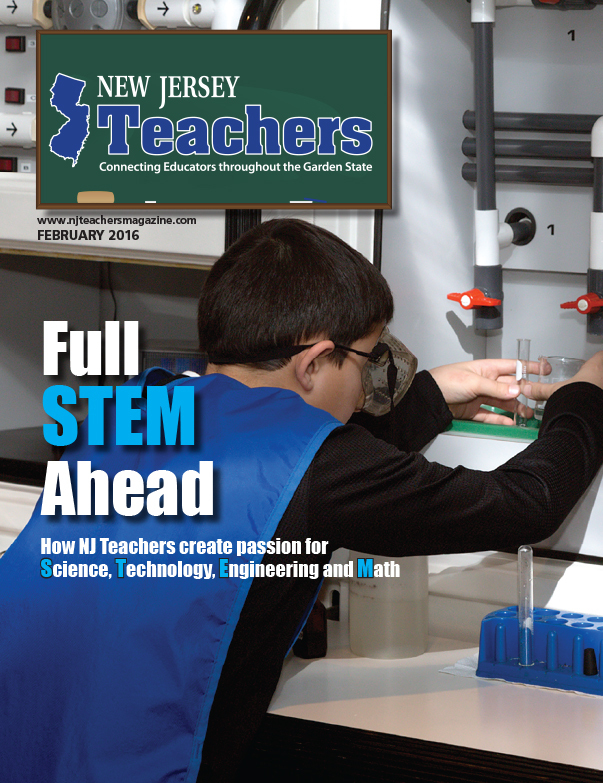 New Jersey Teachers Magazine is distributed free each month to more than 1,000 schools throughout the state. A growing number of teachers also have subscriptions and receive the magazine at home via mail. In all, more than 50,000 NJ Teachers read NJ Teachers each month. Because the publication is for teachers by teachers, each month, we cover the topics teachers ask for: Common Core Content Standards, Student Growth Objectives, PARCC testing and the ever-increasing challenging of managing bigger class sizes with more diverse learners. NJ Teachers also features regular reports from our group of teacher contributors, as well as a section devoted to continuing education to help teachers pursue advanced degrees, certificates, CEU credits and other professional development opportunities. To provide utility that keeps teachers reading, we include product reviews and business profiles of companies that serve education and those organizations that offer field trips, assembly programs and other unique learning opportunities. And what makes NJ Teachers welcome in classrooms across the state is our monthly “Smart Ideas” section that provides lesson plans for primary and secondary subjects that link to the Common Core standards. Each issue also includes important information about lifestyle and leisure pursuits — such as automobiles, financial planning, real estate, education, travel and especially health and wellness.